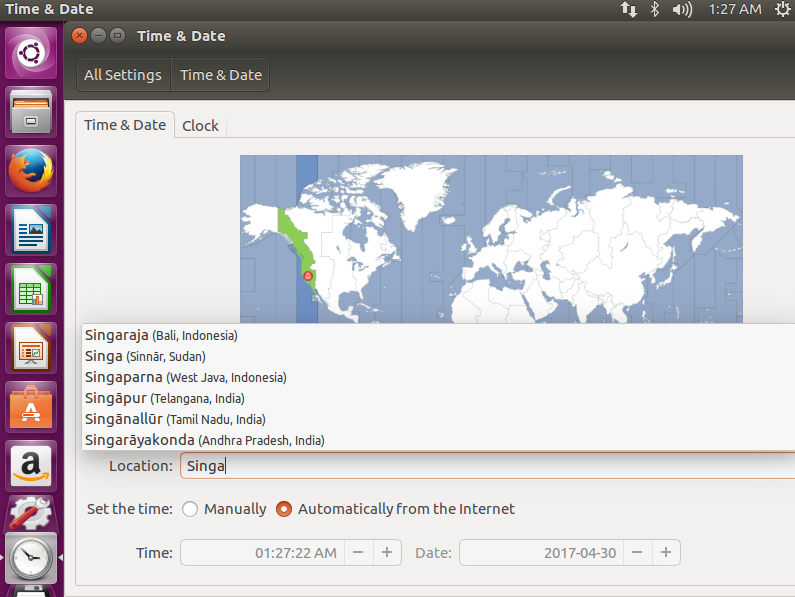 Upon the Ubuntu 16.04 installation completion on my machine, I realized it was showing Jakarta’s timezone. I repeated the same installation in my virtual machine and it showed Los Angelas’ timezone. Oddly, it is an automatically detected from the Internet. I tried to enter ‘Singapore’ under the Location, however, it failed to show the correct Asia/Singapore as shown below. I became clueless why Singapore was not listed in the timezone selection. The closest timezone will be Kuala Lumpur or Johor state in Malaysia. I tried to pick the location from the map which was quite hard because Singapore is a very tiny country in the world map. I am so sorry, I could not input Singapore and I have to use Kuala Lumpur, Malaysia. If you have the solution on this issue, kindly share with me. Thank you in advanced.